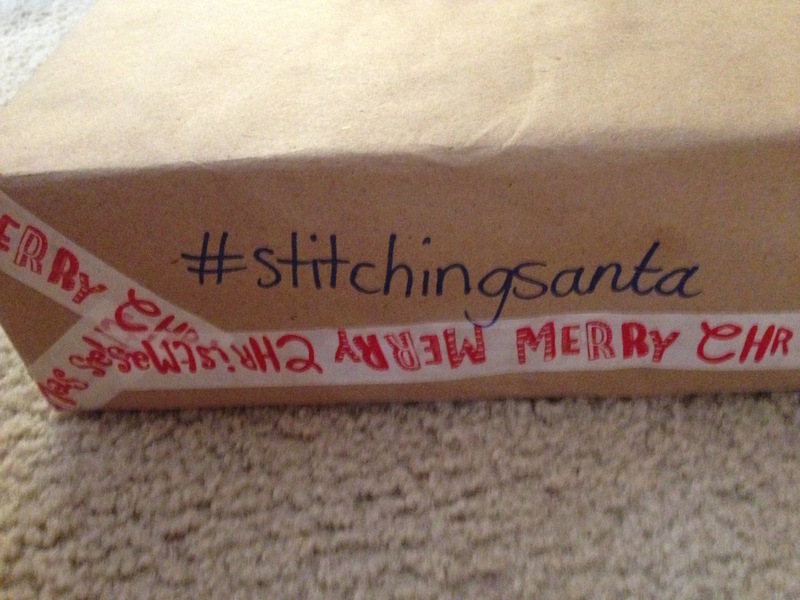 So this year I saw that there was this super fun thing called #Stitchingsanta hosted by Sheila from Sewchet and I thought it was SUCH a cute idea that I had to sign up for it!! I got my box in the mail over a week ago and it has been SO DIFFICULT not opening the gifts until Christmas!!!!! Just look at all that loot!!! I’ve been avoiding Natalie’s blog since I saw she posted about what she sent, lol!! I don’t want any spoilers! ONE MORE DAY!!! I’m so excited to see what is inside, you have no idea!! 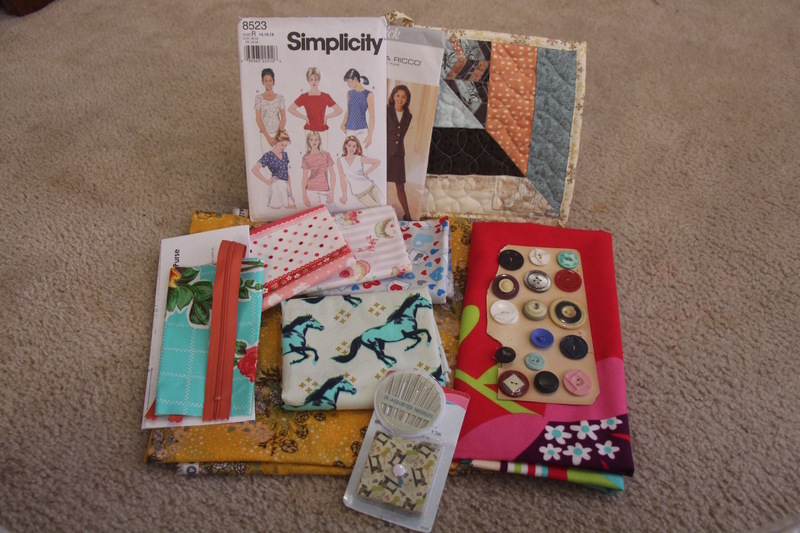 As for me and what I sent, I tried to gather up a good mix of useful and fun supplies for my giftee, who happened to be Jennifer from Let The Sewing Begin. For fabric, I gave her about a meter of some one of my favorite Art Gallery prints in voile (SO SOFT), a half yard of the awesome Cotton + Steel Mustang print, some sweet fat quarters (a couple of them Japanese fabric), and a fun floral panel that I thought she could make something cute with. I included a little project so she could make a little coin purse with laminated fabric. I put in 2 vintage(? probably from the 90’s, sooo vintage lol) patterns that I thought seemed timeless and classic and totally wearable. I have this weird obsession with really old buttons, and as hard as it was to part with them, I included a bunch that I found at Uncommon Objects. When I saw this adorable sewing machine themed retractable tape measure, I knew I needed to get it for her, and then, of course, you can never have too many hand sewing needles!! 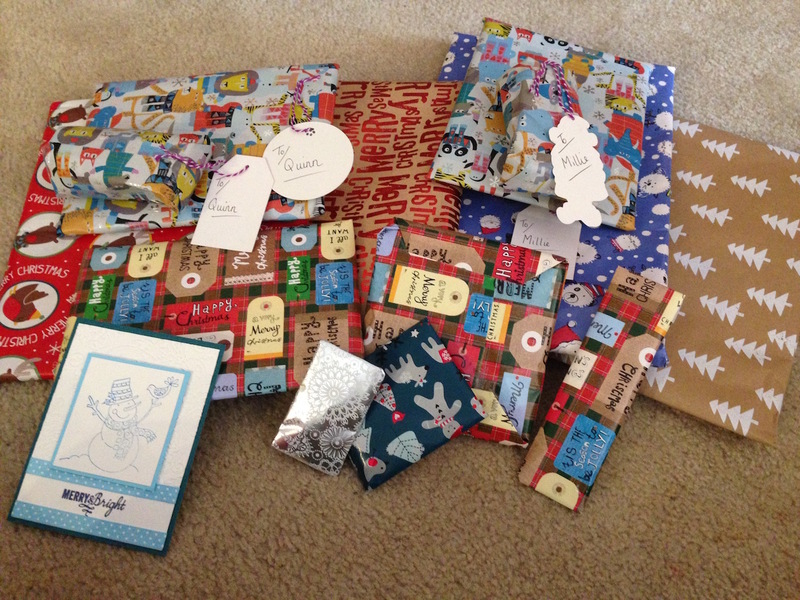 I totally forgot to take a picture of everything all wrapped up because I was too excited to send it out. I put a lot of thought into it and I hope she likes everything!! You HAVE to post about what you got! I’m so excited for you and can’t wait to see! What fun! I totally will!! I’m so excited to see what is inside!! I hope I am not too excited to forget to take pictures of my kids opening their gifts! I’ve just read Jen’s post about your parcel – she was very obviously thrilled with everything and I’m not surprised! Thank you for taking part and doing such a great, thoughtful job with your gifts. Everyone has really got into the spirit of the swap which bodes extremely well for next year. Happy New Year! Yay! I’m glad she liked it :D Thank you for hosting, it is such a fun and awesome idea! !